Now there's a special place for kids on Colorado Gives Day! Community First Foundation has launched Kids for ColoradoGives, a new Colorado-based online giving program designed for kids and families. KidsforColoradoGives.org is a kid-friendly component of the ColoradoGives.org website where young donors can experience the joy of giving in a fun, safe environment. At the launch event at the Denver School of the Arts on September 15, 2016, Colorado Lt. Governor Donna Lynne remarked, “This website helps kids learn about all the ways local nonprofits make our lives better and has the power to inspire a lifetime of charitable giving. Kids for ColoradoGives is the only giving program that offers a real-world giving experience in a trusted, safe online environment." The Lt. 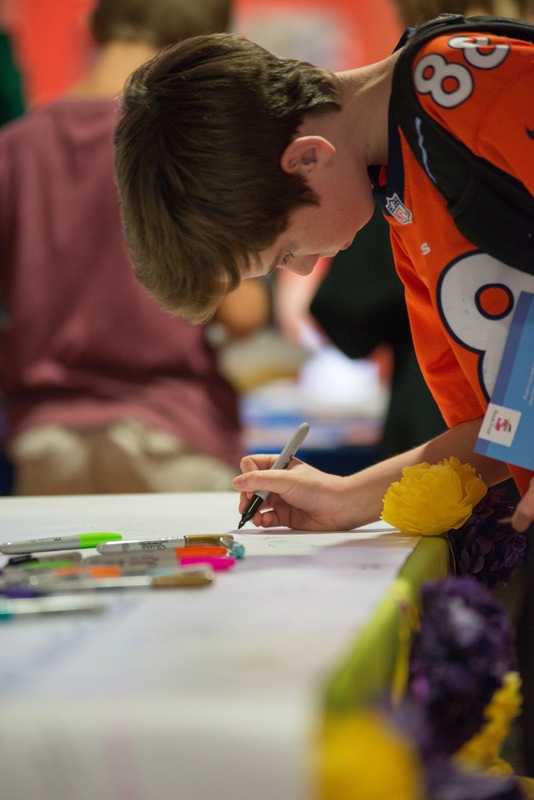 Governor is serving as a Kids for ColoradoGives program ambassador. 275 students at the Denver School of the Arts. As part of the launch, FirstBank gave every 6th and 7th grade student in attendance $10 to experience the joy of giving. 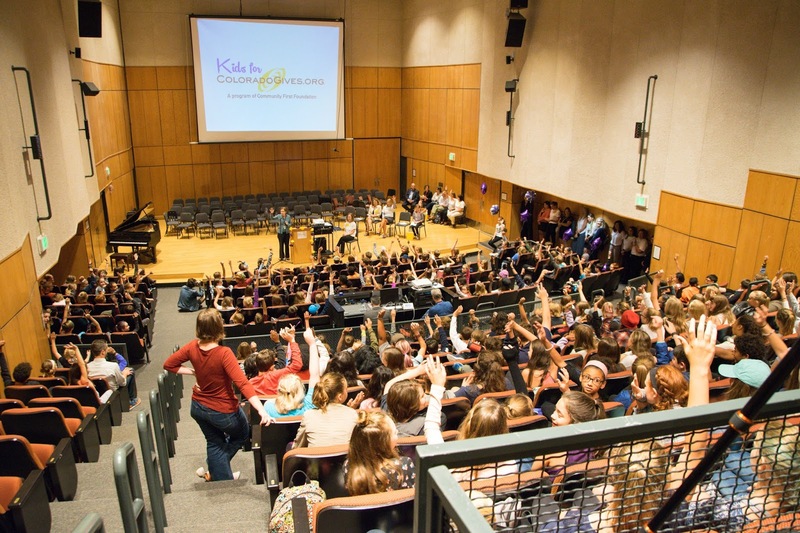 Students are able to give their donation dollars to a nonprofit on KidsforColoradoGives.org immediately or save and donate on Colorado Gives Day, December 6, 2016. Help inspire the next generation of givers! Introduce your children and grandchildren to the fun and joy of charitable giving through KidsforColoradoGives.org, and help them become part of the biggest giving movement in the state. The website includes resource pages for kids and for adults. It also features kid-friendly videos that explain nonprofits, why they need donations and how to choose a nonprofit to help. Parents and grandparents can purchase Giving eCards at KidsforColoradoGives.org and send them to their kids and grandkids by email. Kids then use a Giving eCard code to make online donations to a Colorado charity. Kids and their parents can identify special jobs or projects that kids can do to earn Giving eCards. The cards make great birthday and holiday gifts, too. Buying Giving eCards and making giving decisions as a family is a great way to pass down family values and inspire a lifetime a charitable giving. banner at the launch event.